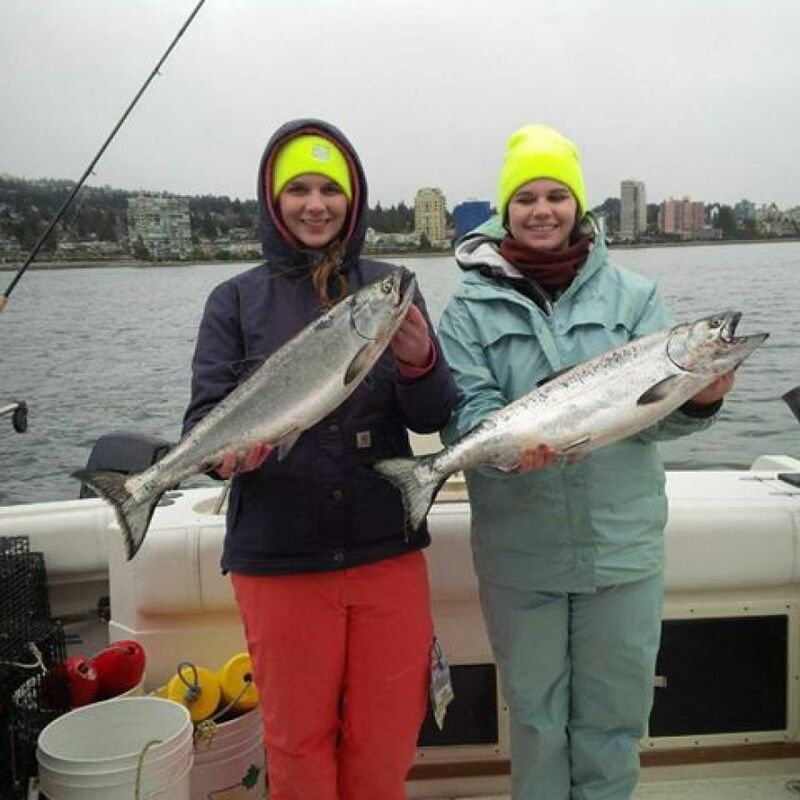 We have seen fishing pick up over the last 10 days in local waters. 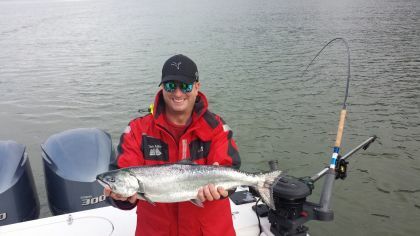 All of the normal Howe Sound winter spots continue to produce some nice fish and we have also seen a couple springtime fishing spots start to show some signs of life. In addition to the good fishing, the wildlife viewing has been amazing! 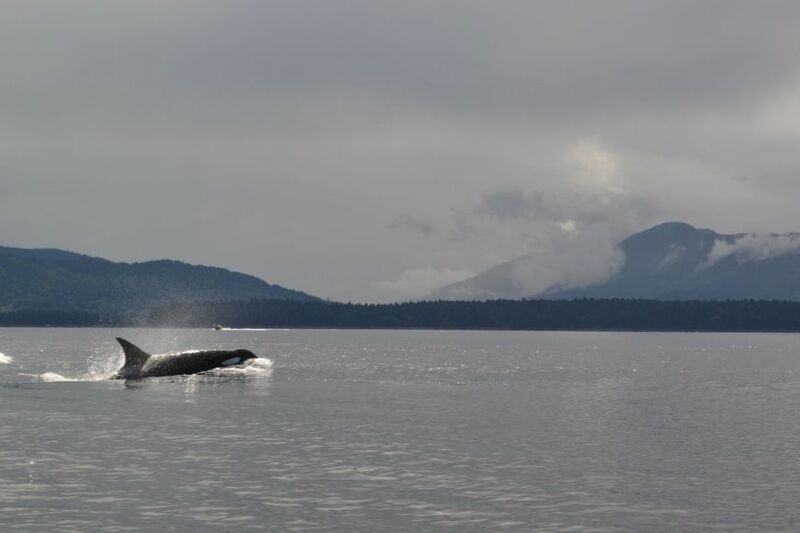 We have had frequent encounters with Transient Killer Whales, Humpback Whales, Sea Lions, Porpoise, Bald Eagles, Otters and Harbour Seals. These amazing animals are been drawn in by the big schools of herring and anchovies now in local waters. We are hoping that the last of the snow is behind us. 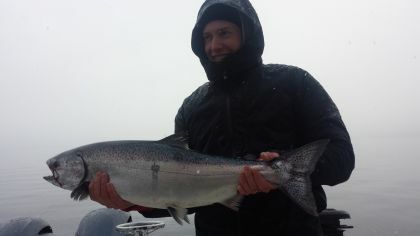 Although we were getting quite used to fishing in the snow, we are enjoying the warmer temperatures that have now set in. 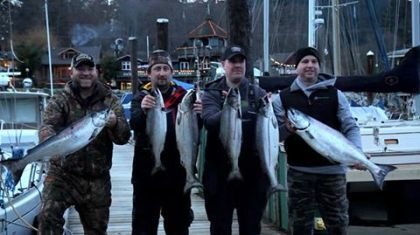 We have continued to spend most of our time in Howe Sound and we have had pretty decent results on all of our trips over the last two weeks with some nice fish up to 20 pounds. 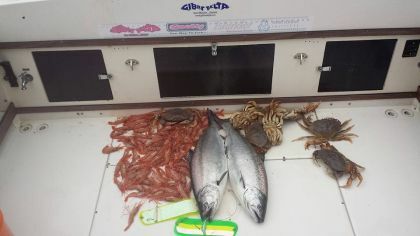 On most charters we have had a shot at 4 to 8 fish. Most of the fish have continued to be pretty close to bottom, but there is the odd fish starting to getting hooked higher up in the water column. This especially holds true for spots like Hole in the Wall and the Bell Buoy that have started to pick up recently. We have had really good results on hootchies over the last few weeks. Green and Chartreuse Yamashita Spacklebacks, white Glow, and Army Truck hootchies have been a few of our favourites recently. Spoons that have been good for us have been the Trailhead and Bon Chovy G Force and the Outfitter and Bon Chovy Skinny G. We have been running Guide Series Lemon Lime, Madi, STS and Bon Chovy Flashers. We still have not bothered to run any anchovies or herring yet as spoons and hootchies typically work just as good if not better in the winter and early spring. We have all the right gear for local waters available at our charter/tackle shop on Granville Island. As we look forward to April we will see the days get longer, warmer and brighter! This will trigger the start of our offshore fishery off the South End of Bowen often known as the "Hump" . Some years it starts during the first week of April and some years it does not get going until the 3rd week of April. With the good numbers of fish around this winter, we should see this transition into a productive local fishery in April and May. Only a couple weeks left to take advantage of our winter special! 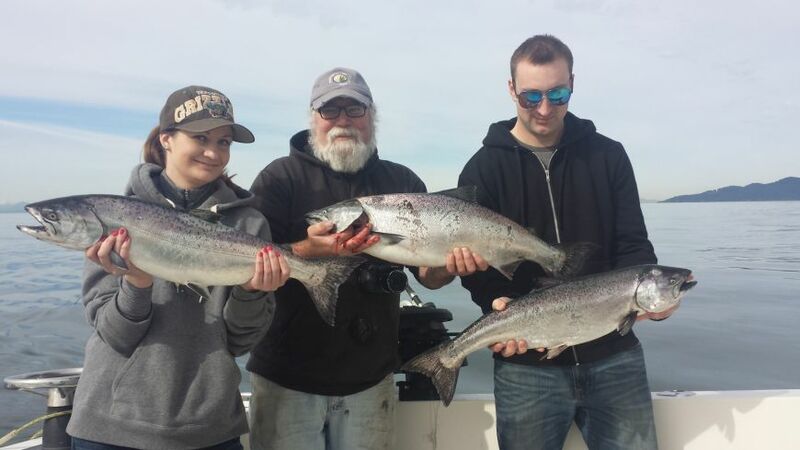 It is a great way to get out on the water do some salmon fishing, prawning and crabbing at a great rate! Check out this link for more information. Please give us a call or send us an email if you would like to get out on the water!